Hypebeast.com were asked by New York Magazine to guest edit a sneaker guide for Nymag.com’s shopping section entitled “Shop-A-Matic.” Whereas the entire feature totals 112 shoes, Hypebeast chose 25 shoes for NY Magazine readers to check out, all of which are available for purchase in New York. 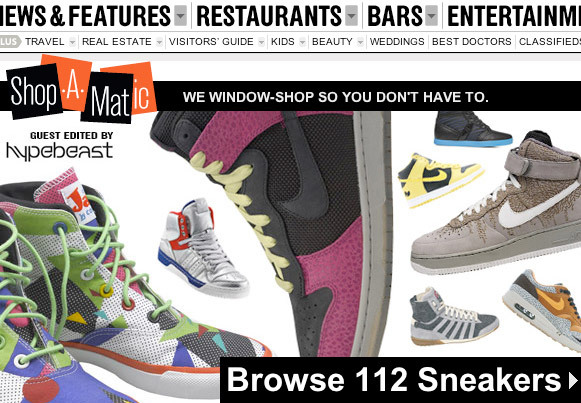 The entire sneaker feature can be seen here, while Hypebeast’s picks can be found here. Wow this is Dope i hope they dont give away our spots now.